Alba Antiqua Malvasia is the first Croatian dry wine which entered a tasting menu at the legendary English restaurant The Fat Duck, owned by world-famous chef Heston Blumenthal. This a great honour and a big step forward in promoting Istrian Malvasia as top-quality Istrian and Croatian wine brand. Besides, the Fat Duck’s wine list also includes our blends Grimalda White and Grimalda Red. We owe this success to Isa Bal, sommelier at the Fat Duck, and João Pires, sommelier of currently best rated British restaurant Dinner, also managed by Heston Blumenthal. They visited Matošević Winery in Krunčići in 2012 and tasted our wines. Alba Antiqua obviously made a lasting impression because it was also the recommended wine during November and December 2012 at Dinner. We hope that our entry into the leading British restaurants will help to open many other doors for Istrian Malvasia on the global wine market. At the Decanter World Wine Awards competition, held in London, many Croatian winemakers were awarded, including four Matošević wines. 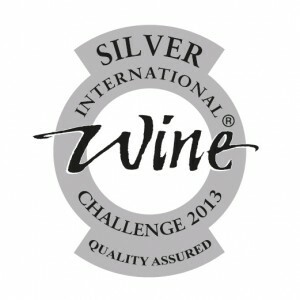 Bronze medals were given to Grimalda White 2009, Grimalda Red 2010, Grimalda White 2010 and Alba Antiqa Malvazija Istarska 2009. 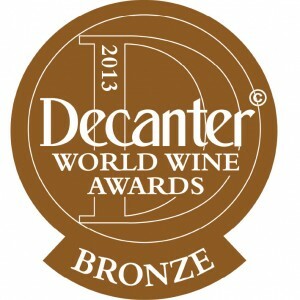 The Decanter World Wine Awards is the world’s leading wine competition. The competition is well known for its rigorous judging process, which has led to the DWWA becoming the most authoritative source of wine recommendations for wine lovers worldwide. This year, the 219 judges were from all around the world assessed 14,362 wines from 52 countries. This year’s expert panel of judges included 75 Masters of Wine, and 13 Master Sommeliers. Croatian winemakers came back with excellent results from the International Wine Challenge, one of the most prestigious annual wine competitions in the world, taking place in London since 1983. Altogether, they harvested 19 medals and 22 commendations. Matošević wines won two silver medals, for Alba Antiqua 2009 and Grimalda White 2010. Both wines are unique because they are tightly connected to the location where they come from, which makes them interesting to knowledgeable foreign experts. Istrian Malvasia Alba Antiqua is special because of its specific vinification process, which includes a short maceration overnight and then fermentation and aging in acacia barrels. Grimalda White, a blend of Chardonnay, Istrian Malvasia and Sauvignon Blanc, is named after the area where the grapes are grown and it strongly reflects the terroir. Both wines regularly receive positive feedback and win awards, and the medals from the International Wine Challenge are a huge honor and compliment for our efforts.